What is it like to work at Gregory? 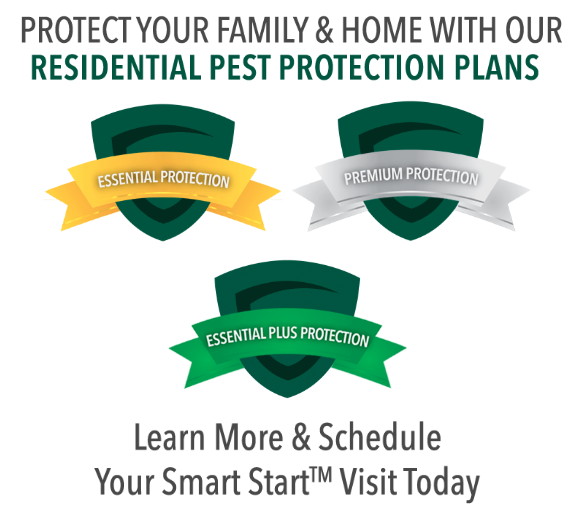 Gregory Pest Solutions is made up of a team of dedicated professionals who know well the science of pest control and the art of serving others. Gregory is a work hard, play hard culture that never loses sight that, at the end of the day, we are trying to improve the environments of the customers we serve so that they can enjoy their homes and their businesses free of distractions from unwanted, unhealthy pests. We go above and beyond. And we take great pride and joy in the work that we do. 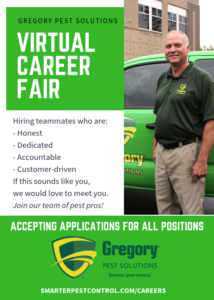 If you have the drive to be exceptional in the field of pest control, desire to work as part of a team, and have a heart to improve the lives of others, then contact Gregory Pest Solutions today. Click “View Open Positions” to complete our application!